Thin teenage girl breaks more tile then accomplished Karate Master! Or does she… Watch closely as this is both entertaining and educational. Notice that when the karate master breaks the tiles he only breaks the tiles as far as his elbow reaches. That is because his body position stopped the force of the downward strike. If he had used a knife-hand strike or the bottom of the fist he would have most likely gone through all of the tiles as his force would have continued downward. The hardest part of breaking is the mental aspect, being able to thrust through the target. Injury occurs when we do not focus through the target but instead focus on the surface of the target. That hurts! Of course there is a certain amount of physical strength or mass required to break certain objects. Breaking is a great demonstration of ones mental control and focus. This is still a funny video though, the Karate Master looked like he was about to loose his control! Perhaps that is why the host so quickly admitted to the stunt…! I had to share this amazing video of the latest advances in Exoskeleton technology. Imagine the applications for this type of technology! It looks like the current prototype is a little slow for say enhanced hand-to-hand combat but that will improve! With wide spread use we would see reduced work related injuries, increased productivity, increased capabilities in Industrial jobs, Military, Shipping/Loading, Rescue and more! This is a great example of Science Fiction meeting reality, remember Alien, Matrix Revolutions, and others. How many bricks could you break with one of these?! Bet you could catch an arrow with one of these at any range! Super Bionic Ninja Robot Hand! Is this the beginning of the end? Could a Super Bionic Ninja Army soon take over the world?! In this Discovery Channel video they take on the legend that Ninja’s could catch an arrow as a defensive move. Of course these non-believers prove that to catch an arrow is an impossible feat. But is their experiment accurate? 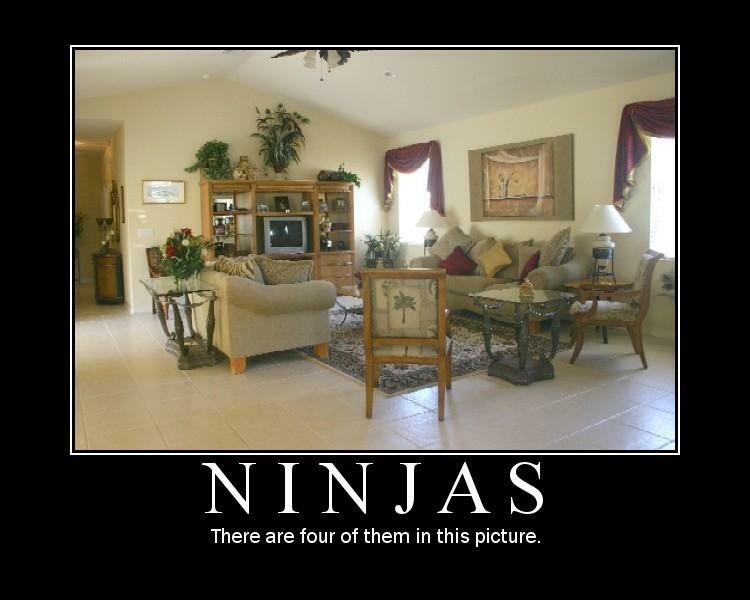 Have they in fact ignored the super human skills Ninja Masters can acquire? Or are they in fact Ninja agents bent on insuring the Ninja secrets stay well secret!? Regardless of which reason you like the fact remains that no Ninja would try to catch an arrow from that distance when they could easily dispatch the Archer with a Shuriken or throwing dart. If they had tried to catch the arrow from further away and had their hand move with the arrow, catching it as it flew by, perhaps their “experiment” would have had a different result! We may never know the truth now as they continue to cloud the secret Ninja skills with Science and Math! If all of this hasn’t convinced you they are in fact Ninja agents sent to confuse us, how can you ignore their closing threat to take over the world with their Super Bionic Ninja Army?! Many people say there is no past or future only the present. I have said this myself. In some respects this is partially true, we only have the now in which to live. Then what can Faulkner possibly mean? There is no past in the sense that we can change things we have done or witnessed. We can effect the past no more then we can control the future. For us there is no past, but that does not mean it is dead. Hardly, in fact Faulkner says it best for it isn’t even the past, because you are the collection of your past ‘present’ moments. You are the collective of your time here on Earth which means that the past is always present in us, effecting our behavior and decisions in the present and path into the future. Thus without introspection and discipline we are doomed to repeat our mistakes and failures as we are largely creatures of habit, good or bad. Only through introspection can we see the patterns of our past and with discipline change our path into the future. In many ways George Costanza on the television show Seinfeld was a genius when realizing that all of his past decisions were wrong made a conscious effort to “do the opposite”. In his genius he found that this approach did indeed work and in the genius of the show we saw the difficulty in maintaining this new approach to life. George lacked the discipline and in the lacking gave up to his nature the fruits of his introspection. Thirteen year old Brown belt Rebecca Kelly saved her 53 year old mother, Diane two nights ago. Diane was picking Rebecca up from her martial arts class when they were viciously armed attacked by 29 year old James Cordingley. Cordingley was high on heroin, crack cocaine and had drunk eight cans of strong lager at the time of the attack. Obviously a man who was feeling NO pain. The attack was motivated by threats from his drug dealer whom he owed over £60. Cordingley grabbed Diane as she sat in her car and armed with a TASER attempted to stun her into submission. Still fresh from her evening lesson, Rebecca jumped into action without hesitating. She reported that she “just saw red“. Rebecca went continued “Using the skills I’d learned through my karate lessons I ran and jumped on to the man’s back to pull him off my mum.” She then ran back to her class in Horsforth, West Yorks, and got three black belts to help her restrain Cordingley until the authorities arrived. Mom, Diane was fine and just a little bit proud! Rebecca’s actions were commendable and she acted bravely in a moment of crisis. Because of her a criminal is off the streets for at least a while and her and her mother are safe. While the use of the unusual ‘run and jump on the man’s back’ technique is unorthodox it seems to have worked in this case. this would be a higher thing then the whole world! Born some 700 plus years before me… Why does it seem that most of wisdom today comes from so many in the distant past. Is it the technology that distracts us from deep contemplations? No it is our choices that lead us away from introspection and depth of thought. When a society as a whole seeks the satisfaction of their materialistic desires it is hard for wisdom to emerge. Like a beautiful rose growing in the center of a Mall parking lot, it is not impossible but highly improbable. Even if we seek to live a life of deep introspection society seeps into our consciousness or being. No wonder we cannot understand a flower as is has its being in God. Remember what is important in life during the coming month. We demonstrate our love and caring for others through our actions. We demonstrate our self worldliness by camping in line over night at a store so we can get a limited toy! In the video my students will recognize some of the techniques and principles of executing a good kick. While I do not understand the words that are coming out of his mouth! There is a lot to be gained from watching this video since in the slow motion sequences you see the benefits of this kicking technique. The speed of the kick is increased by the late release of the lower leg. The added benefit of the late release of the lower leg is he isn’t committed until the moment before the kick completes. This approach greatly increases the kicks power, speed and flexibility. Kicks are the most powerful attack you can use but are only truly effective when executed correctly. Incorrect execution of a kick can expose you to unnecessary risk to a catastrophic counterattack. So study how the kick is done and practice! It requires balance and control so regardless of whether or not your practice Kyokushin Karate you should gain something from the practice. If you happen to speak Japanese and have the time can you translate some or all of the video dialog in the comments? 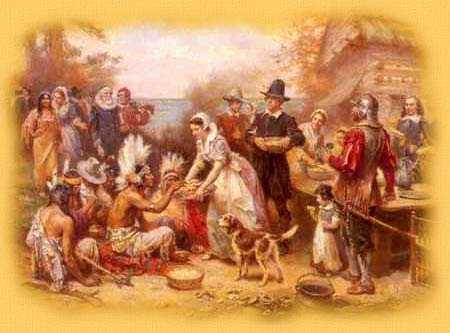 The earliest Thanksgiving events were actually harvest festivals held in the British Colonies, at present day Berkeley Plantation in Virginia in 1619 and at Plymouth in present day Massachusetts in 1621. While they had limited success with wheat and barley, their corn crop proved very successful, thanks to Squanto who taught them (in Plymouth) how to plant corn in hills, using fish as a fertilizer. While our thanksgiving celebrations have little in common with that of the Pilgrims, hopefully we still take the day to be thankful for all we have and for those we cherish. Thanksgiving is also a day when we should pause to think of those less fortunate then us that we may support them not just during the Holiday season but throughout the year. From all of us here at KarateTraining.org to all of you. Thank you for your patronage as we build what we hope will bethe best Martial Arts resource site on the Internet! May our success continue to blossom over the next year with your support. Well here we are again the most challenging time of the year to stay on track with your training. In the next month will you throw it all away or will you continue to make progress. With all the distractions and delicious foods that come with the season temptation is all around us. It tends to be a season of excess. So how is a Martial Artist supposed to stay on track? There are the old standards that everyone states like they are great revelations. Do you need to be told to employ moderation? Is that really a revelation or even the slightest bit helpful in staying on track with your training?! Before someone told you to use moderation were you thinking ‘that extra tin of cookies is good for me’ OR ‘that expensive television will pay for itself’? No you weren’t. While it may be helpful to remind yourself to use moderation it isn’t going to stop you if you aren’t committed. Reward yourself. Here is another old standard that is for the most part…useless. No you should punish yourself! Isn’t working out and training hard a type of reward? The attitude of ‘Reward Yourself’ is a negative attitude and that is what we need to adjust. We workout and train so we can feel and look better, be healthier and live longer, and for some of us so we won’t feel exhausted running after our kids! I have worked with a few really good professional trainers in my life and I have never heard them say, ‘great set, you deserve a Sundae with extra Carmel’! The reward is that incredible feeling you get when you reach that milestone you have been shooting for, whether it is loosing 5 pounds, 50 pounds or doing your first set of 20 push-ups. We train to improve ourselves, that is the reward. Well the above is all well and good, either you are committed or you aren’t. But most of us are not professional Martial Artists so staying on the training wagon 24/7 IS difficult. There are office parties, home cooking, family gatherings and of course stress to deal with during this season. If you are worried about your weight (who isn’t) then you simply need to remember that you need to work off more then you put in (there’s that moderation thing…!). That doesn’t mean you have to walk to Grandma’s house either. The important thing is to make sure you are training enough to offset the extra intake. This is actually easier then it sounds and can be accomplished by making a few small adjustments. Add about 5 minutes of Cardio to your daily routine. This can be parking further away or doing jumping jacks in the living room. The important thing is to keep it simple and fun. The more difficult you make the harder it will be to do. Wow that sounded like typical advice! Really there are no magic words because in the end you are responsible for yourself. If you backslide a little during this holiday season don’t beat yourself up, your sparring partner will take care of that! So open your heart and enjoy all that the season has to offer while rewarding yourself by achieving your dreams and goals. Train Hard, Train Often…OSU!